Located on a hilltop overlooking the Shenandoah Valley, with the Sierra Nevada stretching skyward in the background, you will find Driven Cellars Winery. 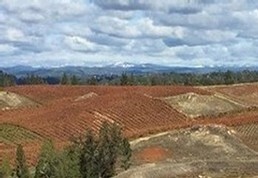 Our secluded location and beautiful view from our winery, is one of the best kept secrets of Amador County. If you need a break from the hustle and bustle of everyday life, come and escape with us to Driven Cellars. As you sit on the hilltop, sipping on one of Driven's award winning wines and gaze across our vineyard and the valley below. You will find yourself wondering why you have not discovered Driven Cellars winery before now. Driven Cellars winery opened its doors back on May 5th of 2005. As Chris Chinco, the owner of Driven Cellars, wanted to start a winery that would make wines of a high quality at a reasonable price that could be enjoyed by our family and friends. 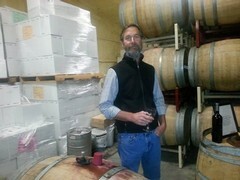 Driven Cellars is a small family owned winery that strives to continually produce wines of superior quality. We believe our wines reflect our passion and spirit to create quality wines that you will enjoy and share. We will be releasing our popular mainstay wines like Primitivo, Barbera and Tempranillo throughout the year and new varietals as well, but only when we feel they meet our high quality standards. Among the wines and the view, there is something else that is very distinctive and noticeable when you visit. That would be Rudy Chinco’s, Chris’s father, collection of many antique cars, trucks and tractors he has collected throughout the years. His collection has to be one of the most unique in Northern California. His vehicles span numerous auto makers and their makes and models. As you walk around the property you cannot help but notice how much transportation has advanced through the years. His display encompasses a 1922 Dodge Brothers Truck, 1923 Studebaker, a 1931 REO Speed Wagon and several vintage Porsches, just to name a few. So if you can find the time, and want to sit and taste some of the best wines produced in the Amador area, please come and visit us at Driven Cellars. We hope to see you soon! 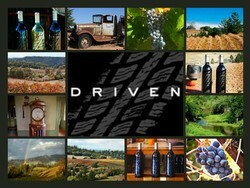 Learn more about Driven Cellars!